Mrs. Bremer's Class: Christmas Around the World! 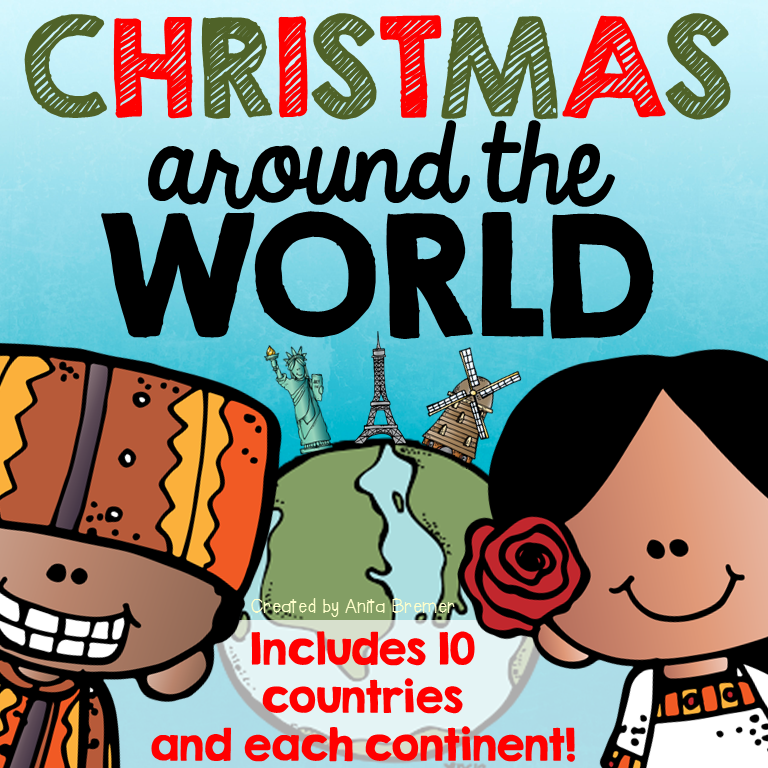 I am SO excited to share my new Christmas Around the World pack! 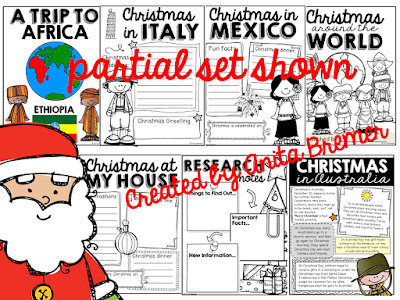 I have been wanting to do a full unit about Christmas Around the World featuring every single inhabited continent with my class for some time now. 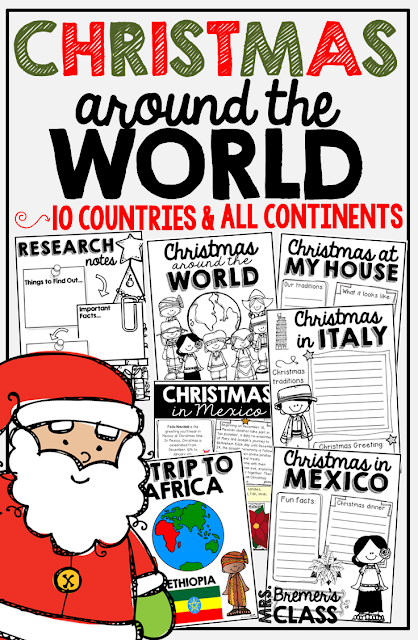 I thought this would be so exciting for students to see how people around the globe have both similar and very different traditions and customs. And the best part is, December is instantly planned! It’s fun to learn about how other cultures celebrate the holidays! By exposing children to a wide variety of cultures across the globe, we are helping them begin to appreciate differences, build understanding, and expand their world. I have made this pack NO PREP! 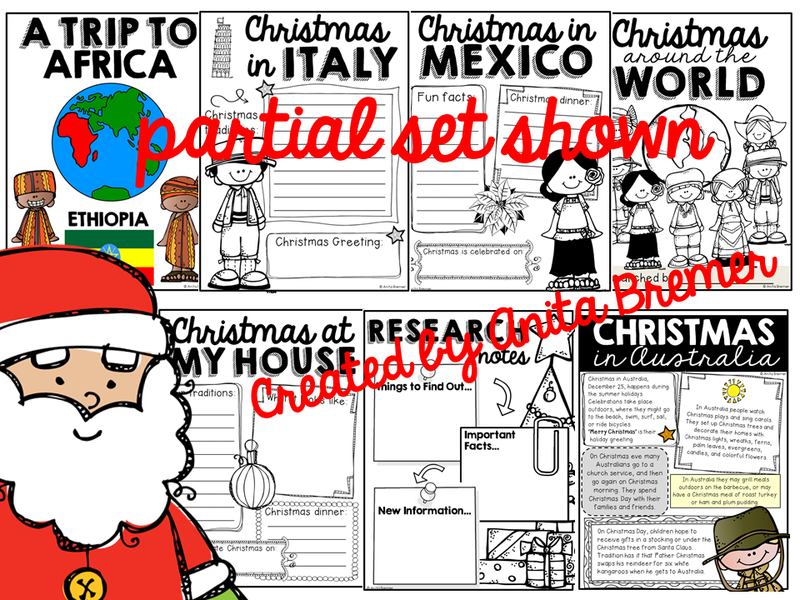 The anchor chart headers, information posters, continent maps & country flags, student work pages, and student passports are all ready to go in one click. This set looks wonderful! I love the kids in the clip art and the set up of the pages! It looks perfect for Kindergarten!